Farming in Wales shares some similar characteristics to other parts of the UK but it also has some unique features which shape both the size and character of the industry. These features have shaped and influenced agricultural policy in Wales and are likely to be important as the sector and government considers future policies and strategies for the industry following the UK’s withdrawal from the EU. We have published a research note on the farming industry in Wales which provides a detailed comparison of the industry to other countries in the UK. This blog highlights some of the key similarities and differences identified in the Research Note. What is the impact of agriculture on employment and gross value added in Wales? There were approximately 647,700 people working in the UK agricultural sector in 2015, 9% of which (58,300) are in Wales. Agriculture’s shares of total regional employment in Wales was 4.07%, greater than the national average of 1.42% indicating that agriculture makes a more significant contribution to Welsh employment than in other parts of the UK. Gross Value Added (GVA) at basic prices measures the contribution to the economy of an industry or sector. Agriculture’s share of GVA in the UK was 0.61% in 2014 and 0.71% in Wales, demonstrating that the economic contribution of agriculture in Wales is also greater than the national average. What is the average farm income in Wales? The average farm business income (FBI) represents the return to all unpaid labour (farmers, spouses and partners) and to all their capital invested in the farm business including land and farm buildings. In Wales, the average FBI in 2014-15 was £29,000, less than in England (£40,000) and the UK (£35,000) as a whole. According to Forecasts of Farm Incomes 2015-16, the average FBI in Wales decreased to £24,500 compared to 2014-15 which reflects the decrease in prices paid to famers for their produce. This was specifically the case in the dairy sector which saw a 40-45% decrease in Wales and England and an almost 80% decrease in Northern Ireland. For more information on the fall in farm incomes see our previous blog post. How is agricultural land used in Wales? Wales comprises 10% (1.753m hectares) of utilised agricultural area of the UK and 9% (2.1m hectares) of the land mass. Approximately 84% of the land area is used for agriculture, greater than the other devolved countries. Land use is dominated by permanent pasture grassland, which accounts for more than 75% of the utilised area followed by 14% for croppable and 10% for common rough grazing. Approximately 80% of the land area is designated as a less favourable area (LFA), i.e. where production conditions are difficult such as areas where land, climatic and cultivation conditions are poor. What is the breakdown of farm holdings? According to Agriculture in the UK 2015, there were approximately 214,500 farm holdings in the UK in 2015, 16.2% (34,800) of which were in Wales. The average size of holdings in Wales was 48 hectares, smaller than both England (88 ha) and Scotland (107 ha). Figure 1 shows a detailed breakdown of farm holdings by type in Wales. Cattle and sheep grazing on LFA land accounts for approximately 29% (10,805) of holdings in Wales reflecting the dominance of grassland pasture on LFA land. In contrast, cereals, general cropping and horticulture account for only a combined 2.7% (972) of holdings reflecting the relatively limited amount of croppable area. Source: Welsh June Agricultural Survey. Farming, Facts and Figure Wales, 2016. Agriculture in Wales is heavily focused on the grazing of livestock, specifically sheep, on LFA land in comparatively small farm holdings that make relatively modest incomes. Wales is more mountainous and has a wetter climate than much of the UK so a large proportion of the country is classified as LFA. The land is therefore more suited to pasture and livestock farming and not arable cropping. The widespread highlands are more favourable towards sheep, specifically hardy Welsh Mountain sheep. The dairy industry and arable farming are restricted to the more geographically and climatically productive areas. These are predominantly in lowland areas in the southwest, southeast, northeast, coastal regions and river valleys. The farming industry has been going through a period of volatility, with the prices paid to farmers falling below the cost of production. This has been specifically bad for the dairy sector, with farmgate milk prices in May 2016 15.1% lower than the same month last year. In response to this the European Commission (EC) has announced that it will provide a €500 million support package for farmers across the EU, including the UK. This is in addition to a similar package provided in September 2015 and discussed in a previous blog post. Here we discuss the new EU stimulus package and how the money could help farmers across the UK and Wales. What is causing the European farming crisis? The European farming crisis has been caused by a number of factors that have driven oversupply across the market and reduced the prices paid to farmers. Within the dairy industry, these include the scrapping of EU milk quotas which has increased the amount of milk in the EU market, particularly from countries such as Ireland and the Netherlands. There has also been a weakening in the Chinese export market and an ongoing Russian import ban on EU food produce. In the UK, the farming unions have also blamed inequalities in the supply chain, with milk processors and supermarkets paying prices that fall below the cost of production. What is in the European support package? Although the UK has recently voted to leave the EU, legislation and policy associated with agriculture will remain in place until such time as the UK formally withdraws from the EU. 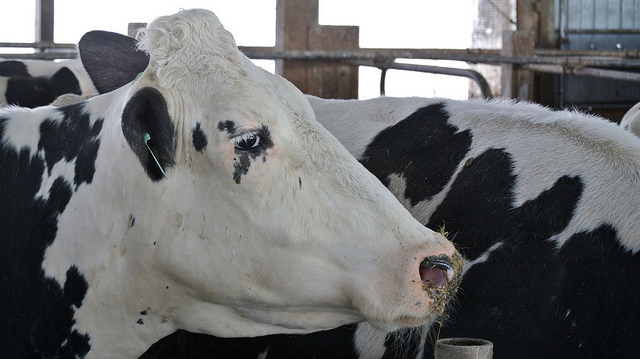 On 14 March, the EC activated “exceptional measures” to provide a support package to help EU famers and safeguard the EU internal market, specifically with regards to the dairy sector. On 18 July it was announced that this package is to be worth €500 million, the second of such packages following the first unveiled in September 2015. Discussions are expected to be finalised on 25 August with legislation likely to enter into force in mid-September 2016. The support package is primarily focused towards the dairy, pigmeat and fruit and vegetable sectors and is intended to be “highly adjustable” so Member States can tailor the money depending on their own situations. How will the package help farmers? A range of additional technical measures which aim to provide greater flexibility for Member States (for more details see the EC press release). An aim to open up new markets, increase promotion and work to end export bans with Russia. The precise details of these measures are expected to be finalised over the coming weeks. A comprehensive range of measures was also introduced with the 2015 support package and briefly discussed in our previous blog post. How much money are the UK and Wales getting? The amount of money each Member State receives is dependent on factors such as the level of production. The UK is the third highest beneficiary with €30.2 million (£25.3m) worth of funds, behind only Germany (€58.0m) and France (€49.9m). The amount of money that Wales will receive has not yet been announced, however it is likely to be similar to the £3.2 million received in the previous support package. Payments to farmers with this package were based on how much milk they produced in 2014-2015, averaging £1,800 per dairy farm. What has been the reaction to the support package? NFU Cymru has welcomed the package and has urged the EC to allow flexibility in the way Member States use the money. It has called for the €350 million conditional adjustment aid to be used strategically to develop a more sustainable and resilient dairy sector across the UK and Wales. In contrast the European Milk Board, a federation of famers from 16 of the Member States, has stated that it is “far from enough to overcome the crisis”. It says that the 14 cents famers will receive for each litre of milk not produced is not enough, and “has to be higher to bring about a sufficient volume reduction on the market”. The EU’s medium-term outlook for the agricultural sector (2015-2025) concludes that milk export and meat consumption should grow steadily over the period due to population growth and dietary change. In the short term, milk prices are expected to recover “to moderate levels” however market imbalance remains a high risk. The EC hopes that the new support package will drive a recovery of prices by early 2017. Following numerous delays, on the 30th June the European Commission (EC) re-approved for use the widely used herbicide, Glyphosate, for an 18-month period. What are the arguments that continue to surround its renewal? Glyphosate is the active ingredient in many weed killers used in agriculture, horticulture and gardening. It is most commonly associated with the trade name Roundup produced commercially by Monsanto. It is the most commonly used herbicide in the world and is currently used extensively across Wales. How prevalent is Glyphosate in Wales? Glyphosate accounted for an average of 14.3% of all herbicides used in Wales by weight over the 2004-2014 period according to the UK Food and Environment Research Agency (FERA). This is equivalent to an average of 20,080 Kg of Glyphosate used to treat 20,260 hectares (Ha) of cropland across Wales. These figures relate to application to cropland before planting and harvest . However they exclude other uses including small-scale application by gardeners and local authority treatment on areas such as parks, verges, pavements and playgrounds. Although the UK has recently voted to leave the EU, legislation and policy associated with the use of pesticides will remain in place until such time as the UK formally withdraws from the EU. Currently all active substances used in herbicides and/or pesticides administered across the UK and EU have to be approved at an EU level. Re-approval is required every 15 years. As part of the re-approval process the active substances are assessed by the European Food Safety Authority (EFSA) which produces a risk assessment. The European Commission considers the Authority’s findings and decides whether the substance should be recommended to Member States for re-approval. If the Commission supports its re-approval an expert committee representing Member States will consider the proposal and vote upon it. This Committee is known as the EU Standing Committee on Plants, Animal, Food and Feed (PAFF). In order for an active substance to be approved a qualified majority of Member States must vote in favour. If Member States fail to reach an agreement the European Commission can decide itself to re-approve the substance. What is the current debate? Glyphosate has been used globally for over four decades. The current debate over its safety has been sparked by a publication from the International Agency for Research on Cancer (IARC) which concluded (PDF, 46.7KB), on the basis of new scientific evidence, that Glyphosate should be classified as ‘probably carcinogenic for humans’. In response to the IARC report, the European Food Safety Authority (EFSA) published their own study concluding (PDF, 1.74MB) that Glyphosate is ‘unlikely to pose a carcinogenic hazard’. Monsanto also the IARC findings, stating that the weight of scientific evidence implies Glyphosate does not pose health risks. A similar conclusion (PDF, 757KB) was reached in May 2016 by a joint meeting of the Food and Agriculture Organization of the United Nations (FAO) and the World Health Organisation (WHO). Stakeholders are divided on the issue. The Soil Association and Friends of the Earth (FOE) have been campaigning for a reduction in Glyphosate use, specifically for food crops. They highlight evidence that Glyphosate is present in up to 30% of UK bread and has the potential to pollute water supplies, persist in soils, encourage resistance and cause a range of ecological problems. Farming unions including the National farmers Union (NFU) and NFU Cymru and the European equivalent, Copa-Cogeca (PDF, 64,6KB), strongly support the re-approval of Glyphosate. In an open letter (PDF, 167KB) sent to EU policy makers, the UK farming unions have outlined the importance of glyphosate to the industry, warning that restrictions will limit food production and increase costs. They argue that no replacement product exists at present. Glyphosate was due for re-approval on the 31st December 2015. However EU member states failed to reach a majority vote for re-approval as some Members had concerns about potential health risks. This date was extended to the 30th June 2016, however yet again Member States failed to reach a majority vote. In response the EC stepped in to re-approve glyphosate for a limited 18 month period. Prior to this, the EC has been reluctant to take this step without a clear democratic mandate from Member States. December 2013 – The risk assessment was submitted to the EFSA concluding Glyphosate is safe to use and should be re-approved. March 2015 – The IARC (PDF, 46.7KB) report concludes Glyphosate is potentially carcinogenic. November 2015 – The EFSA contradicts (PDF, 1.74MB) the IARC conclusion. An open letter (PDF, 201KB) from scientists warns that the EFSA report is not credible, which the EFSA . Re-approval is extended from December 2015 for 6 months to allow new findings to be considered. March 2016 – A vote for re-approval by EU Member States does not reach a majority forcing a postponement by the EC. The EU Chemicals Agency (ECHA) announces its own assessment for publication in summer 2017. The European Parliament passes a resolution in favour of re-approval but with restrictions on use. May 2016 – The European Commission proposes (PDF, 194KB) a renewal period of 9 years with restrictions on use which will be re-assessed in light of the ECHA report. A vote is again postponed as no clear majority is in favour of re-approval. This is in part due to Germany abstaining from the vote. June 2016 – A revised proposal seeks to extend the license for 18 months. Again the vote reached no clear majority and so is postponed for a third time. At the end of the 30th June provisional extension period, the EC steps in to reapprove for an 18 month period with restrictions. 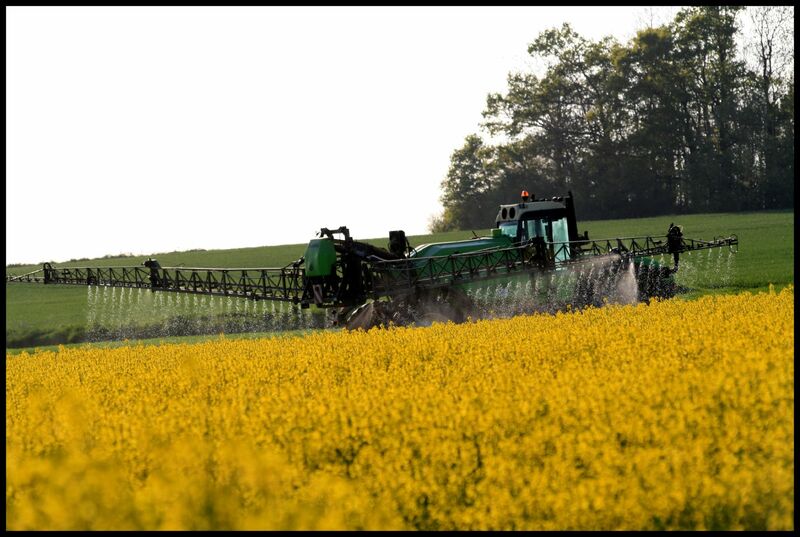 The NFU has welcomed the EC’s decision to re-approve Glyphosate for the next 18 months as a positive first step. Friends of the Earth has expressed disappointment and called on the UK Government to develop a phase-out plan for its use. What’s next for Wales and the UK? The longer term future of Glyphosate in the UK and Wales will depend upon the outcome of both the international and domestic negotiations on the UK’s withdrawal of the EU.